Going for a hike with the little ones along the Patsy Pond Nature Trail? 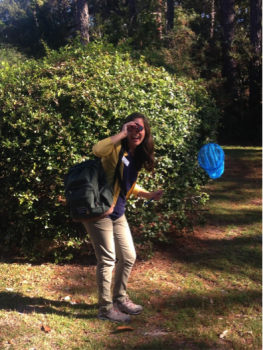 Stop by our headquarters office and check out the new Discovery Backpack for free! Inside the pack are field guides, scavenger hunts, nets and other tools to help young explorers learn about the forest. The backpack is available for checkout on weekdays from 9 a.m. to 4 p.m. and must be returned by 5 p.m. of the checkout date. Contact our central education coordinator, Rachel Bisesi at rachelb@nccoast.org or (252) 393-8185 with any questions.